Well I’m officially stocking up and testing out Christmas products, but this time it doesn’t come with an apology about being early. Christmas is just around the corner folks, even if I haven’t quite got the tree up yet! Anyway, one of our favourite quick lunches or teas is to have a platter of cold meats, cheese, olives and biscuits. There is always a nicely chosen pickle to accompany the meal. 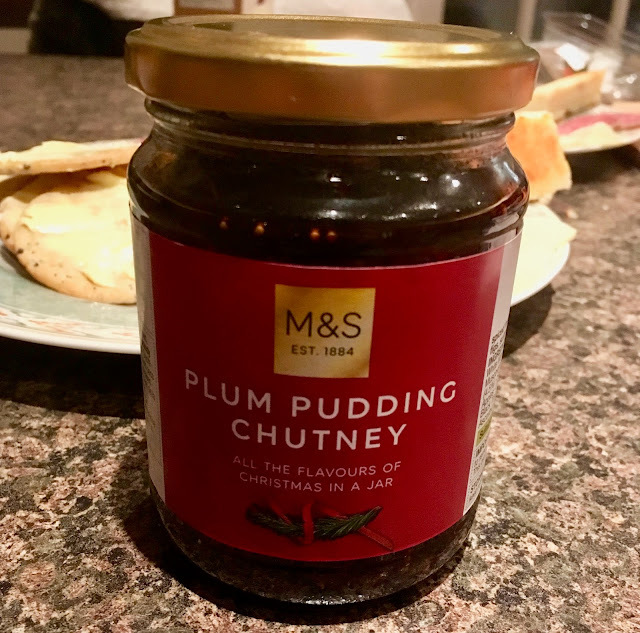 We do vary the selection of goodies, but this time I had picked up a Christmas themed pickle, this Plum Pudding Chutney from Marks and Spencer. It promises all the flavours of Christmas in a jar which is quite some promise, I’m thinking both turkey and peppermint candy cane! Ok, I’m not, I think this is more Christmas pudding related. We scooped some out to have with our cheese and biscuits. I could immediately see the fig seeds in this dark pickle, like it was from a plum pudding. I gave it a taste and the flavour was remarkably well balanced, slightly sweet, lots of fruit and a lovely underlying Christmas spice that just gave it a good depth of flavour. 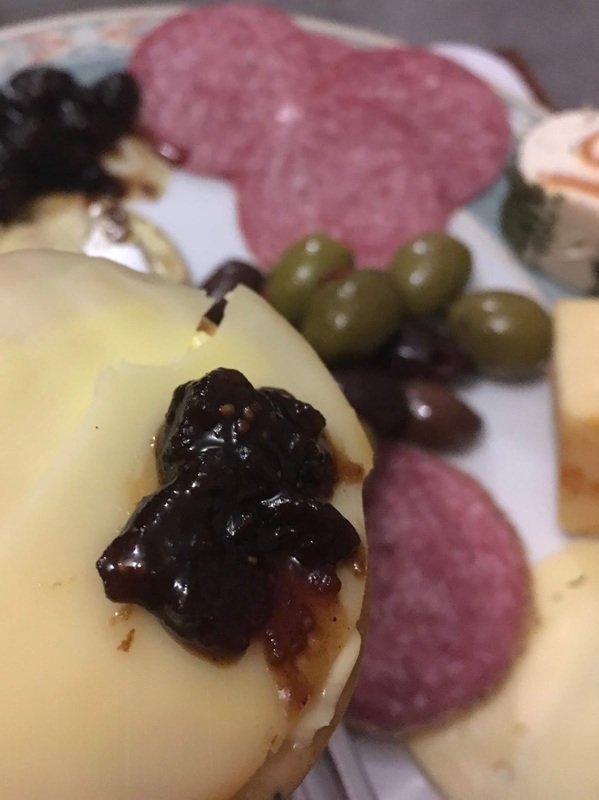 The spices worked very well with the cheese on my cracker but also complimented the selection of cold meats well. We will use this jar up very quickly I think. It might not be “all the flavours of Christmas” but this Marks and Spencer Plum Pudding Chutney certainly has all the ones I would want in a side of pickle. I’m thinking it will be perfect for left over turkey sandwiches on boxing day too.